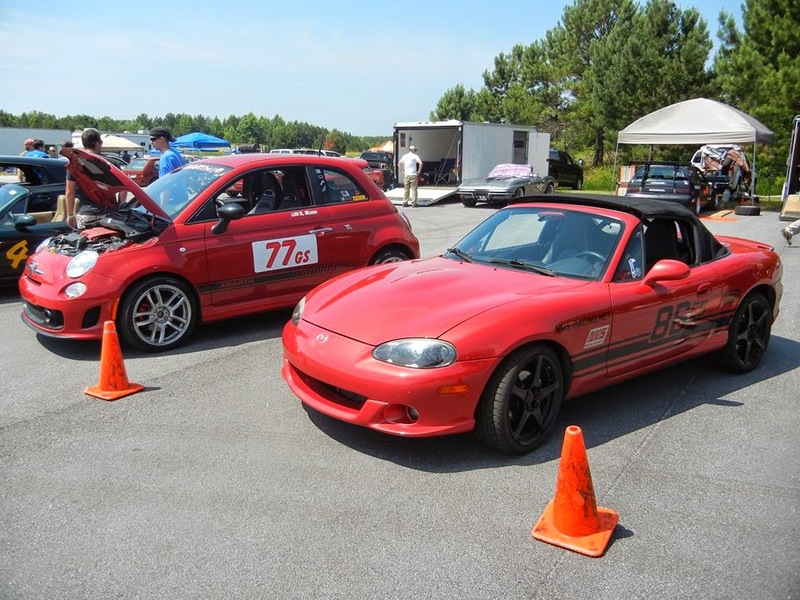 At our latest autocross we had some stiff competition in both classes, so without great fanfare, here's the final results RESULTS LINK. Drivers were allowed 4 runs, the best one time is the only one that counts. You'll see some "+1" marks that signify the driver hit a cone (and got a 2 second time penalty), and for the REALLY GOOD drivers, even a "+5" for taking out FIVE cones (like my last run! Aren't you glad I did that just to demonstrate how to get a 10 second penalty?). You can see the season over-all points on our results page, which in GS currently has Justin Robinett in first by one point over both Robert and Michael Arnold. Stiff competition!